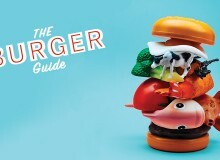 Metropolis recommends nine burger restaurants for 2019, each excellent in their own distinctive ways. Whether you’re looking for the traditional flavors of an American burger or something a little more edgy, this list is for you. True to its name, Authentic is mostly traditional: each burger is created from fundamentals, with a good balance of basic ingredients. Having celebrated its 10th anniversary last year, Authentic is currently playing with these same fundamentals to develop new burgers. Aside from their basic lineup, one popular variation is the Broccoli Cheeseburger (¥1,325). There’s also the Red Hot Garlic Burger (very hot and a lot of garlic in there) (¥1,350) and the Bacon Cheeseburger (¥1,325). 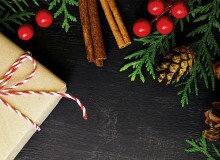 Enjoy their special lunch-only salads (numbers limited) and also drink discounts during lunch: soft drinks are only ¥200 and there’s a ¥100 discount on alcoholic beverages. Check out the selection of cool, original logo T-shirts on Authentic’s Facebook page. BeBu (or Beer and Burger) is a casual eatery, located on the ground floor of Andaz Tokyo Toranomon Hills hotel, serving original recipe burgers paired with Japanese draft beer. 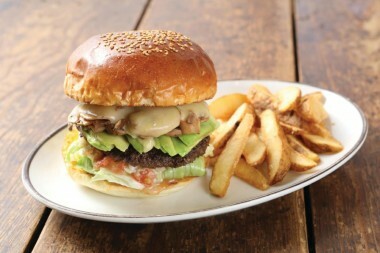 The Andale-Gringo burger (¥1,300) is not to be missed, the succulent beef topped with all things Tex-Mex. 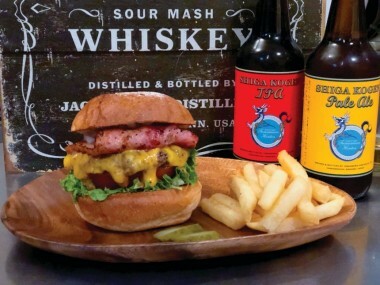 Or try the downtown Osaka-inspired burger called Shitamachi (¥1,400) made with a 200g beef patty topped with delicious Worcestershire mayonnaise. The outdoor terrace provides the perfect setting for a quintessential hanami experience, the view of cherry blossoms complemented by BeBu’s burgers. 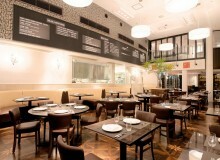 If not for lunch, go for Happy Hour, between 5pm and 8pm on weekdays, for ¥500 drinks. Burger Mania, famous for its homemade food using domestic materials (100 percent domestic beef with buns made with natural yeast), first opened in Shirokane in March 2008. 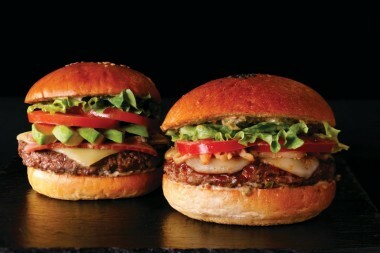 The New-York-style cafe is known for its exceptional service and monthly special (a burger with seasonal ingredients) as well as the limited cherry burger available at the Hiroo and Ebisu shops. 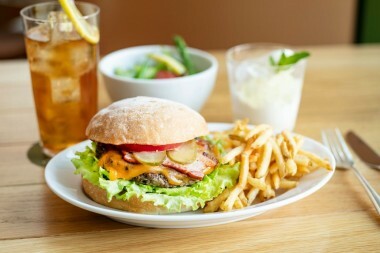 This is the only restaurant in Japan with all three branches listed on Tabelog’s Top 100 burger restaurants in Japan. 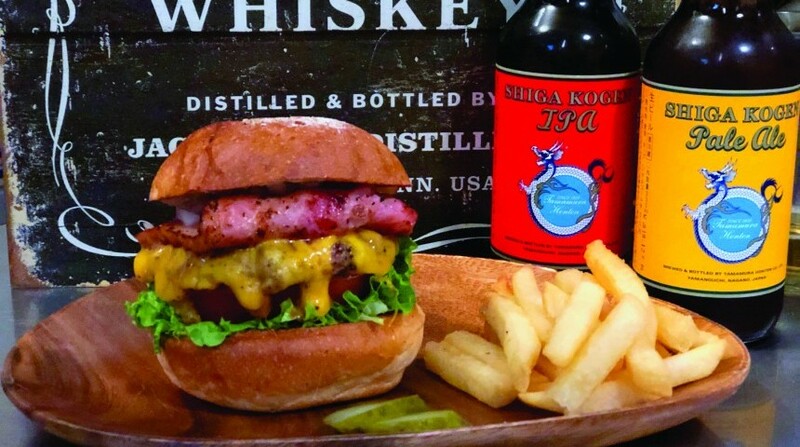 From this April, the shop will be introducing a 100 percent Kobe Beef Burger with homemade bacon topped with grilled onion and creamy cheese for the small price of ¥2,900. 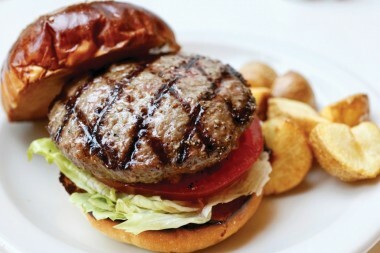 Complement the incredible burger with one of the six local craft beers on tap or even a local craft gin and tonic. 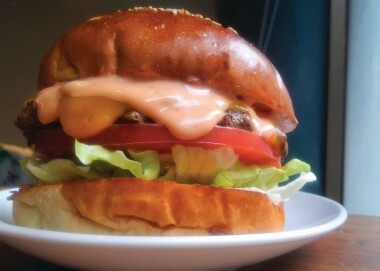 Since opening up shop in 2007, The Great Burger Harajuku has built quite a following. In an average month, 12,000 happy diners visit the venerable burger spot. Perhaps the secret to their success lies with their faithfulness to the flavors of classic American diner foods, best exemplified by such favorites as the Bacon Cheese Burger, served with french fries. Of course, it doesn’t hurt to have hip decor, and everything from the small knick-knacks to the tattooed servers at The Great Burger exudes a certain Southern California cool. With a good range of Japanese craft beers, The Great Burger is also a great spot to grab casual drinks when you’re in Harajuku. Keep an eye out for the new wagyu burger menu, with an array of options including a mushroom mozzarella burger and a wagyu double burger. 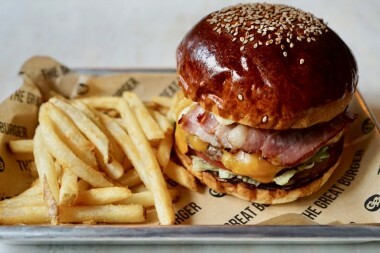 From the wooden cottage decor to the (faux) stuffed deer heads, it’s easy to see that The Great Burger Stand, which sits in the recently built Shibuya Stream, is an America-inspired restaurant. The delicious burgers are made with delightfully crispy buns and tender beef patties that allow the cheddar cheese, bacon and mustard to frame this culinary experience with flair. The owners dreamt of creating a vibrant hub for food, friends and quality experiences — a vision that is evident from the minute you walk in, the sense of community here strong and nostalgic. Come to The Great Burger Stand to feel this warmth and openness as you enjoy an incredible meal. 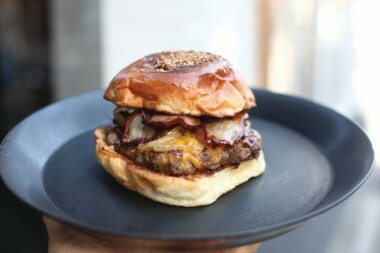 Having honed his skills working at Firehouse Burger, a famous burger place ranked number one on the Zagat survey for best burgers in Japan, the owner of Jack37Burger has created a relaxing atmosphere that includes vintage wooden furniture and counters. The secret behind Jack37Burger is the harmony of their original Indonesian sambal sauce, buns made of natural yeast, and a 100 percent natural beef patty. Enjoy lunch sets of a hamburger of your choice plus fries and a soft drink for ¥1,300 (weekdays only), and Happy Hour 4-7pm, when draft and bottled beer are just ¥380 (tax included). 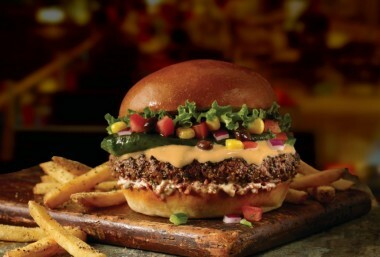 Trader Vic’s is introducing a brand new burger for 2019. “The New Tokyo Burger” focuses on the concept of “Made in Japan.” This unique burger is made with a 225-gram 100 percent Wagyu patty, topped with wasabi and sansho remoulade sauce, Hokkaido smoked Caciocavallo cheese and various other Japanese ingredients, served in healthy Japanese grains bun. If you prefer a classic burger try the “Optimum Burger,” a 225-gram 100 percent U.S prime beef patty topped with avocado, tomato, onion, bacon and mozzarella cheese. Along with all other items on Trader Vic’s menu, these burgers are made with the best ingredients making Trader Vic’s a special place.